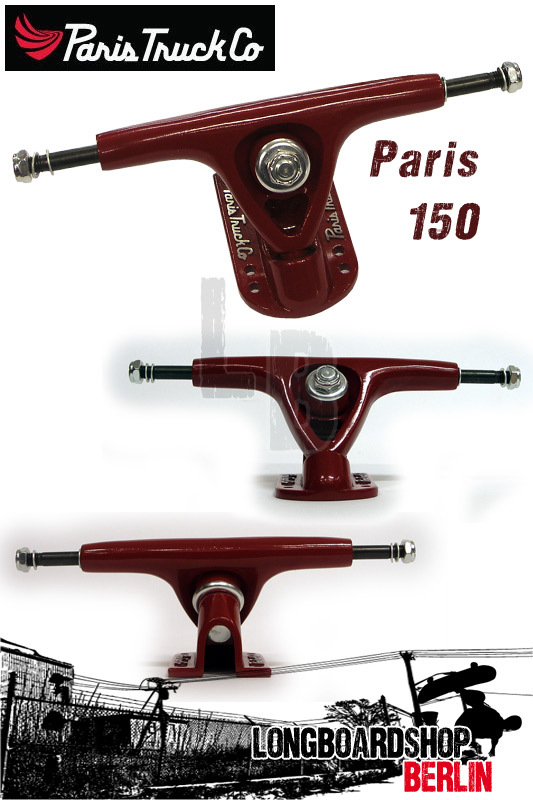 The Paris 150mm trucks are your go-to carving truck. All Paris Trucks are built with 90a Divine bushings with the exception of the Adam Colton – The Adam Colton truck comes with 86a Divine Bushings.If you’re looking to cut some serious turns and get your carve on, then these babies are for you. Like all Paris Trucks, the baseplate angle is 50 degrees, which provides the perfect balance between stability and maneuverability. The 150mm hanger allows for quicker turning and greater leverage when compared to a wider hanger.